Breakfast, the most important meal of the day. I love brekafast, yet I hardly ever eat some. Although breakfast can be so much fun. And above all it can be easy and quick. Now my excuse for missing out on this meal is either I’m not hungry or I don’t have time. Even if you’re not hungry you should never miss breakfast and having no time is the lamest excuse ever. As I said breakfast can be quick and easy. The varieties are endless and it’s the best way to start a day. Healthy, full, satisfied, happy. Here is one quick breakfast idea I resort to in the mornings. Yoghurt and some fruits. 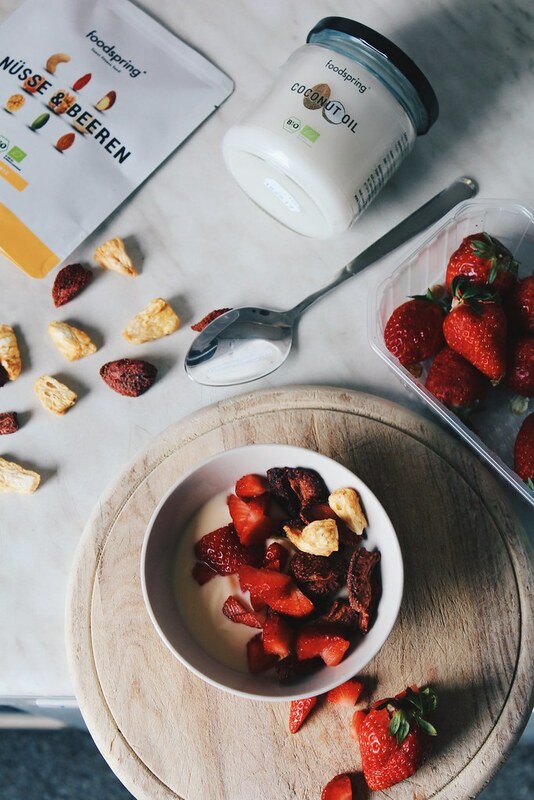 Take a bowl of fresh yoghurt. 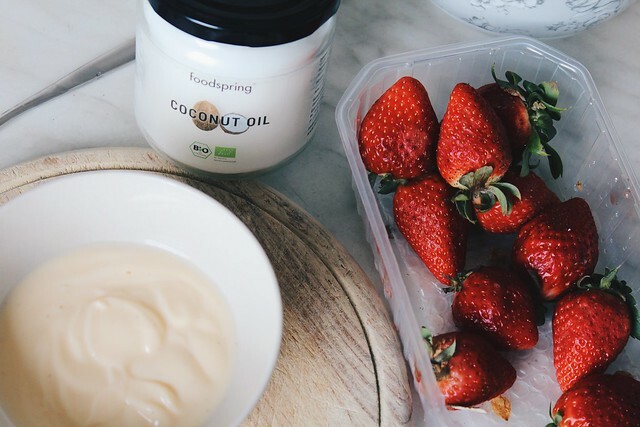 I love vanilla from the can, but often also choose natural sugar free yoghurt. Since I add fresh fruits I don’t need to worry about sweetening it. Now I love strawberries and mango. But you can add anything as you please. 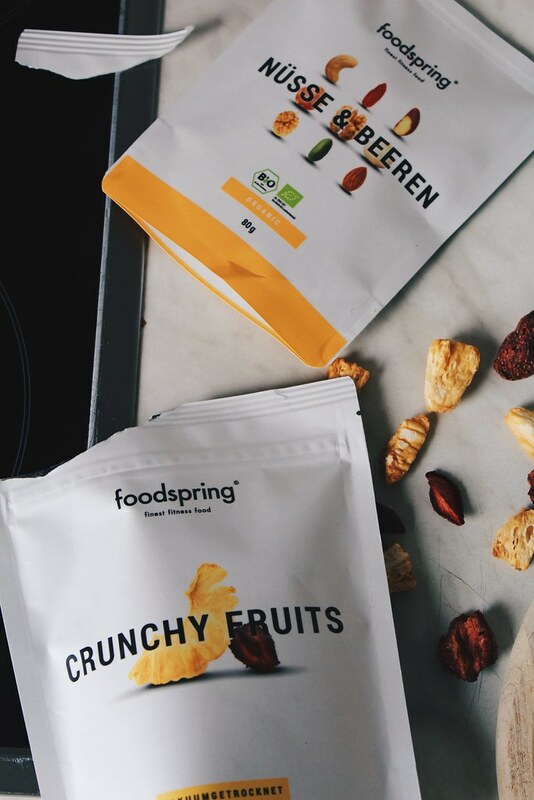 Another idea is dried fruits and nuts. I usually use a tiny handful of cut hazelnuts or almonds to decorate my bowl. Not only is it more appealing but it’s also super healthy and yummy. 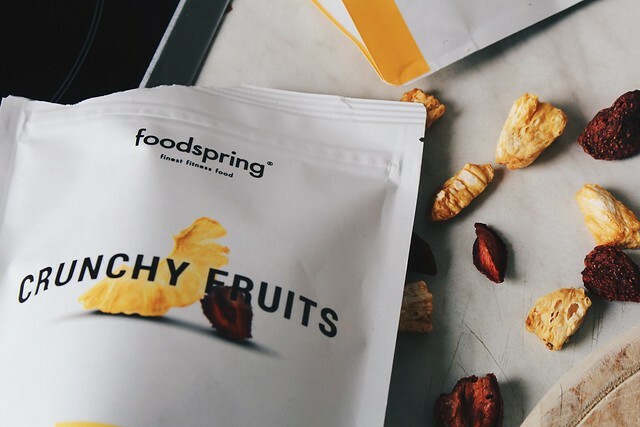 I tried some dried fruits that I got from foodspring. 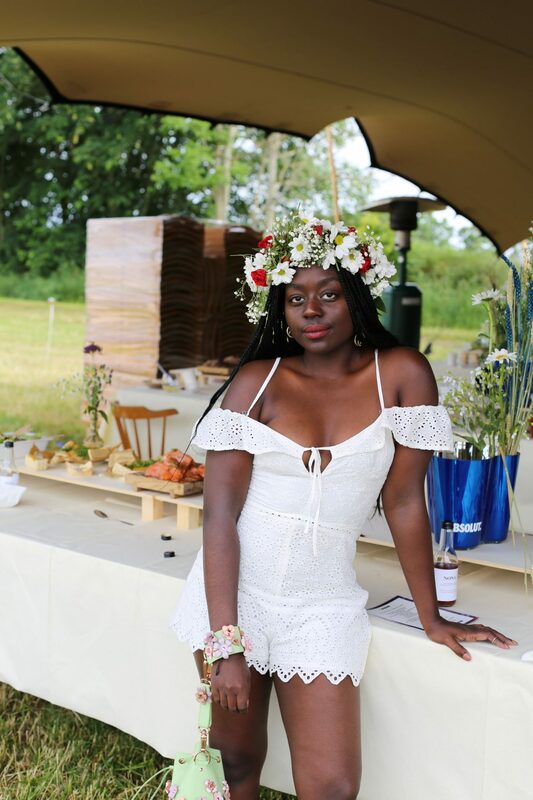 It’s an online shop dedicated to healthy eating, living and lifestyle and sells protein shakes, fitness superfoods, but also simply chia seeds and all natural coconut oil, as well as prepared porridge.